India are currently ranked No. 1 in ODIs and one of the hallmarks of a top-ranking side over time is the quality of bench strength. While India get ready to play Zimbabwe without some of their senior players, it’s a good opportunity for some of the newcomers to perform and prove that the team’s DNA is not dependent on a few individuals, but is a high-performance culture that runs deep. I am reminded of the quadrangular series between England, Zimbabwe, Australia A and Australia in 1994-95, where the finals were contested by the two Australian sides. 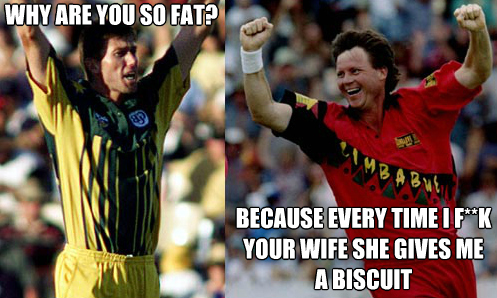 That showed to the world that Australia’s second XI was better than many international sides. India can learn a thing or two from that series as they aim to build an ODI team for the future. Over to the youngsters. The offspinning allrounder from Jammu and Kashmir has made it to the team on the back of consistent performances in the domestic season. Rasool will be looking to ease himself into the international scene in Zimbabwe, where the pressure on him to deliver would be lesser. He’s had a taste of the highest level, having played against the touring English and Australian sides recently. 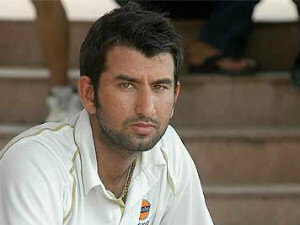 If Rasool clicks, India would have found someone to share the spinners’ workload with R Ashwin. Rasool’s partnership with Ravindra Jadeja, who turns the ball the other way, will make for interesting viewing in the middle overs. Mohit Sharma’s rise to the top was fast-tracked by his 2013 IPL season for the Chennai Super Kings. Mohit’s key strength is the ball that goes away, and he bowls an impressive attacking line. He was handled well by MS Dhoni in the IPL, and that surely played a part in his success. Having Mohit and Bhuvneshwar Kumar – a swing bowler who bowls at a lesser pace – bowling in tandem will give India an edge with the new ball. India’s new-found performance man in Test cricket finally gets a chance to shine in the shorter format. Despite a tremendous List A average of 56.97, Pujara has unfairly been labelled as a slow run-getter. Given his recent successes, there’s no question over his technique on tricky wickets or against good quality seam bowling. In recent times, India have missed a sheet anchor in ODI cricket, and with two new balls coming into play, Pujara could be just the man for them. Unadkat sure knows the demands of international cricket, having endured a forgettable Test debut in South Africa in late 2010. He is a vastly improved bowler now, and has forced his way back into the set-up with consistent IPL performances. He has also had very successful A tours in New Zealand and England in the last couple of years. Zimbabwe’s spongy bounce could be helpful to his style of bowling, which relies on hitting the seam more often than not. 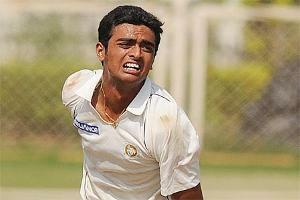 His inclusion brings variety to India’s inexperienced seam-bowling group. Having been one of the lynchpins of Mumbai Indians’ renaissance since IPL 3, Rayudu’s chance to represent the India team comes at just about the right time. He will lend depth to the middle order, and in Dhoni’s absence, could slot in as a finisher. Dinesh Karthik is likely to be India’s first-choice wicketkeeper, which could work against Rayudu. But if he gets a look-in, possibly ahead of Ajinkya Rahane, he should make it count. This entry was posted in Cricket, Entertainment, Ind In Zimbabwe, IPL, Opinion, Sports and tagged Australia, Bhuvneshwar Kumar, Cheteshwar Pujara, Dinesh Karthik, India, One Day International, Ravindra Jadeja, Zimbabwe on July 23, 2013 by missionsharingknowledge. So immediately after a good, exciting Champions Trophy comes a meaningless triseries featuring India, West Indies and Sri Lanka. Although Indian fans are delighted with the Indian victory in an exciting final, it begs the question whether the series must have been scheduled in the first place coming against the backdrop of a highly intense champions trophy. What was supposed to be Srilanka’s tour of West Indies ended up as a meaningless triseries. While ICC’s FTP’s fundamental premise is the fact that member countries, that is, the top test playing nations play each other in each other’s home territory atleast once in 4 years. Often this rule is not adhered to as individual boards tend to cater more to their commercial interests than stick to the FTP. As a result, tours are cut short, ODIs and T20 are increased, Test matches are pushed to the backseat and so on. Also the ICC has a fascination for scheduling important ICC events in rainy seasons in different countries. Also the concept of reserve days are accommodated or neglected according to some random whims and fancies. An important tournament like the ICC champions trophy has no reserve days for rain affected matches and it’s sad that the tournament final turned out to be a 20-over affair, thanks to rain and absence of reserve days. On the contrary, the meaningless triseries that just concluded had reserve days for all the matches. The ICC’s logic for shelving the Champions Trophy was again appalling. 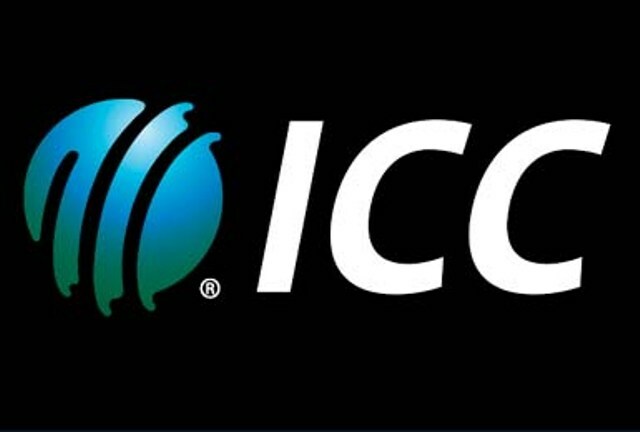 ICC’s logic means only 1 global event for each format of the game – The ICC CWC, World T20 and Test championship. Now who says that only 1 global event needs to be there for 1 format. Despite the success of Champions Trophy this year and appeal from former players like David Gower to reconsider the decision of doing away with the Champions Trophy, ICC hasn’t budged from its idiotic stance and had maintained that the recent CT played was indeed its last edition. Instead of meaningless and obsolete triseries, ICC would do well to preserve the sanctity of global events like the ICC. One can only hope that atleast in future ICC’s FTP is designed rationally and helps preserve the sanctity of this glorious game of uncertainties. This entry was posted in Cricket, Ind In Zimbabwe, IPL, Opinion, Sports and tagged Caribbean, David Gower, ICC, ICC champion Trophy, India, One Day International, Sri Lanka, West Indies on July 22, 2013 by missionsharingknowledge. Zimbabwe- India’s Achilles Heel In ODI’s? Kartik Kannan explores via stats and more why India has not been as successful as they should be in Zimbabwe. Picture This! South Africa and Australia have won 100% of their ODI’s played at Zimbabwe. You’d expect the reigning ODI World Champions (India) record to be similar or close, under normal circumstances, but the truth is chillingly different. If one were to rank ODI sides based on their success percentage in Zimbabwe, India figures a poor 8th, with only Bangladesh and Kenya behind it, success ratio being only 57.14%. Over the last 21 years, India has played 21 games in Zimbabwe, losing 4 times to the host (Zimbabwe), twice to New Zealand, once each to Sri Lanka and West Indies. In the light of this statistic, whether the Indian selectors had made the right decision in selecting an inexperienced team to tour Zimbabwe? Statistics and History say no, while the Indian selectors affirm that infusing young blood would augur well for the future. Table-1 shows how ODI sides have performed in Zimbabwe ever since Zimbabwe became a full member nation of the ICC. Digging further, the article aims to look at important factors that correlate with the Indian performances in Zimbabwe over the years, and aims to present the readers the Achilles heel that Zimbabwean soil has been for Indian cricket intermittently. Some of the important statistical cogs in India’s wheel on their Zimbabwean trips are as follows. Excepting one occasion, whenever India’s been all out, India has lost all such matches. So it’s fair to say that once the Indian batting is into its tail, they have not managed to win any game in Zimbabwe since 1993. When India wins, the average contribution of the top 5 have ranged between 72.94% and 98.35% -9 times out of 12, while India have still managed 3 wins despite the top order contribution having been lesser than the average of 68.19%, which underscores the importance of the number 6 and 7 slot. Table 3, analyses India’s win patterns in ODI’s on Zimbabwean soil, through the contribution of the top 5 batsmen. One interesting observation on Zimbabwean soil, was the success that Mohamamed Kaif,Rohit Sharma, Sachin Tendulkar and Saurav Ganguly have enjoyed on previous tours, which shows the importance of defence, technique and flair in the top 5 batsmen, on a tour to Zimbabwe. In Zimbabwe, India had hardly depended on numbers 6 and 7 to bail them out of crisis to win matches, except for 1 match, where India beat Zimbabwe in 2005. On occasions, when India has lost ODI’s in Zimbabwe, their numbers 6 and 7 have contributed between 25-50% of the total runs in 5 losses, but not enough to finish well. In the last 8 ODI’s away from home, as listed in Table-5, India has relied heavily on its top 5 to win them matches, and when India’s top have scored below 70% of the total runs, India have seen their number 6 and 7, contribute substantially, but not enough to make India win. If for some reasons, India find its top order in trouble, India needs a strong number 6 and 7 to help India finish well. This is a specialized position and India will do well to test if Rahane or Rayudu can complement Ravindra Jadeja at this position, in the absence of India’s best finisher-MS Dhoni. It will be interesting to see how infusing inexperienced talent like Rayudu/Rahane in the middle order works, since India’s past attempts in Zimbabwe, had not paid dividends. Youngsters like Samir Dighe, Reetinder Sodhi and JP Yadav have fallen by the wayside, after one flash in the pan performance, while other youngsters like Hemang Badani, Naman Ojha and Venugopala Rao had been miserable failures with the bat, in Zimbabwean conditions. India’s batsmen, have shown no preference for the pacers/seamers or spinners when it comes to forcing the runs with the run rate being constant at 4.90 against either of the types of bowlers, but have demonstrated a capacity to lose more wickets to pace with an average of 35.6 against pace, as against an average of 45.92 facing spin bowling. The upcoming Zimbabwe tour, being a bilateral series, will not have other established sides hurling down a swinging cricket ball at high pace, but will see medium pace bowlers from Zimbabwe in action. The Zimbabwean bowling, though performed well against New Zealand and Bangladesh, would need to maintain their line and length against a strong Indian batting line-up. Indian bowlers have performed well in Zimbabwe, largely under the leadership of Saurav Ganguly. A lot of success was attributed to the fact that each time India played under Ganguly, the bowling unit was mature and managed to capture wickets. Whenever India had experimented with in-experienced bowlers on a Zimbabwean tour, India had performed badly, notably the 1997 tour and the 2010 tour. In Zimbabwe, India has heavily relied on pace than spin to bowl oppositions out. Indian Pacers have taken 89 wickets at an average of 28.85, while the spinners have toiled hard for little returns, taking 37 wickets at a rather high average of 44.76. But one of the encouraging signs that India are seeing is that Spinners have outperformed pacers in their last tour to Zimbabwe in 2010, with 12 wickets to the 6 that the pacers took. The 2010 tour was India’s worst in terms of bowling, as India picked up only 21 wickets out of a possible 40. India’s pace department struggled for rhythm, with their 6 wickets coming at an average of 69 runs. (way above the average of 28.85 that Indian pacers have in Zimbabwe), as opposed to the 46.75 runs a wicket that the spinners conceded. On the 2010 tour, India experimented their bowling with Ashok Dinda, Umesh Yadav, Amit Mishra, Vinay Kumar and Pankaj Singh, all of whom came a cropper, largely due to collective inexperience. The years 2001 and 2005, were the best tours India have had in Zimbabwe, when the Indian bowlers picked up 39 and 34 wickets out of a possible 50 wickets in 5 matches, while the worst tours were 1997 and 2010, when they did not have a strong leader and had an inexperienced attack. India’s current team will miss the strength and leadership of MS Dhoni, as they deal with an interim captain and an inexperienced bowling attack. India’s bowling arsenal this year for the Zimbabwe tour is very similar to the 1997 and 2010 tours, with no real leader of the bowling unit. India’s bowling unit sports a whole bunch of inexperienced bowlers in Shami Ahmed, Jaydev Unadkat, Mohit Sharma and Pervez Rasool. The bowling attack will largely rely on the experience that Ravindra Jadeja and Vinay Kumar bring to the table, apart from expecting the new comers to come good. Table 6 analyses India’s bowling in Zimbabwe by series and by bowler types. *- While 2 matches were scheduled, only match is taken for computation as the second ODI in that series in 1997 was washed out without a ball being bowled. Based on the current form, will India’s swagger help in mowing down Zimbabwe, or will India’s inexperience lynch them at their familiar Achilles heel? Many questions show up, as India prepare for their future, in the hope that they brush aside history. This entry was posted in Cricket, Digital Media, Ind In Zimbabwe, IPL, Sports and tagged American English, False Accusations, God, India, Indian Cricket, Light List, Men, People, Shikhar Dhawan, Sourav Ganguly, Times Roman, Violence and Abuse, Zimbabwe Cricket on July 10, 2013 by missionsharingknowledge.